Tickets to The M A N I A Experience will be available for free starting tomorrow at 3pm CT. A limited number of VIP skip the line tickets will be available for purchase then as well. The ticket link will be posted tomorrow. The M A N I A Experience is an analog experience of the album. You'll be able to walk inside a three dimensional version of M A N I A and see, feel, hear, and touch all the different textures from the album. - Remixes of every song on M A N I A housed in a listening room that transports you to the inside of a music box - featuring SteelSeries Arctis Pro Headsets - a DTS audio partner with US headquarters in Chicago. See you very soon Chicago! p.p.s. throughout the weekend, use the code FOBMANIA and get 20% off your next 3 rides with Lyft, to and from The M A N I A Experience and Wrigley Field. 16 days until we’re back to the city we grew up in, playing the biggest headline show we’ve ever played before in Chicago. Still so unreal that we’re playing Wrigley Field on September 8th 😳 here’s a vid with a glimpse at all the madness throughout the years - go get your tickets to the show so we can continue getting lost in this crazy dream with you. The M A N I A Tour part 2 starts next week in Long Island, see your faces soon. Vinyl Box Set - out 9/28!! Boom 💥 All of our albums on vinyl together in one place for the first time. 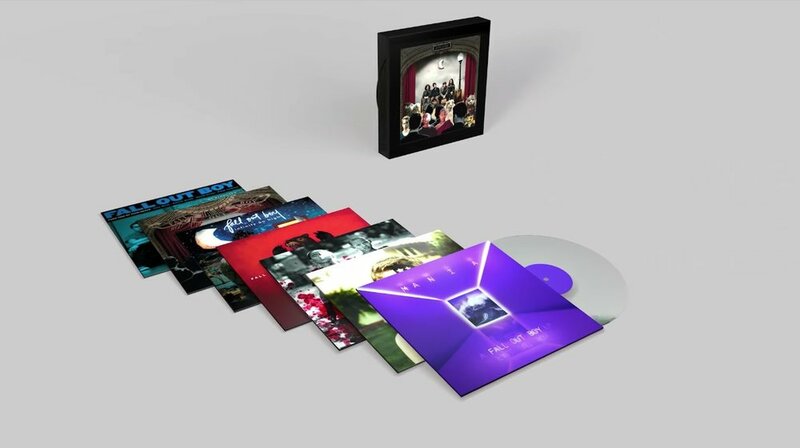 Get your hands on the limited edition box set on clear 180g vinyl (only 1,000 were made). Pre-order it now, out on 9/28. The Last Of The Real Ones (Remix) feat. MadeInTYO + bülow - Out Today! 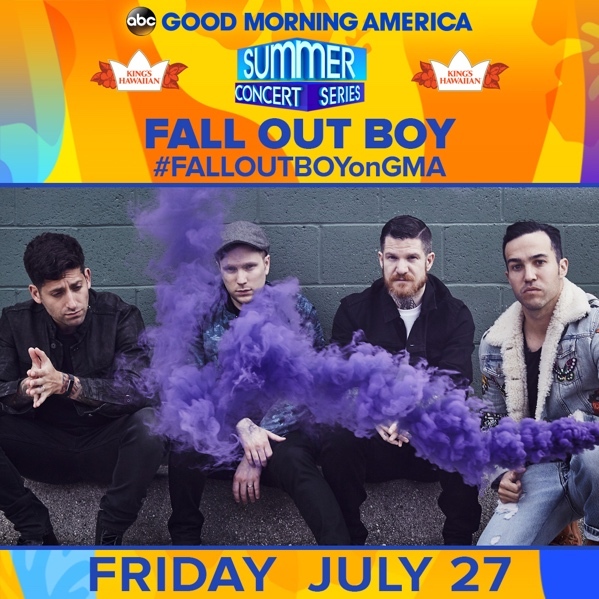 Performing on GMA July 27th! M A N I A Tour 2018 Openers!